What Does the European Commission Say About Digital Exams? Governments are currently making large investments in innovative ICT-based educational practices. However, educational assessment, mainly high stakes testing, is often considered to be an obstacle to innovation and the use of educational technology. Over the past years, European institutions have made the implementation of digital technology in education a priority. 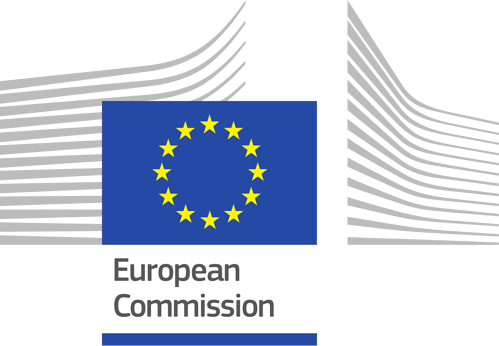 The European Commission's Education Training 2020 Working Group on Digital Skills and Competences (WG DSC) deals with the development of digital skills and competences in education. On 4-5 October 2017 the 6th Peer Learning Activity (PLA) focused on digital assessment took place in Tallinn. The following countries and organisations were involved in the project: Estonia, Denmark, Austria, Norway, Finland, the ATS2020 project, and the Commission's Joint Research. The purpose of the conference was to encourage members to share examples of how digital technologies are transforming current examination practices and to discuss common challenges of these new forms of assessment. The PLA highlighted that integrating digital examination can bring great benefits, such as “cost efficiency (given a critical mass of tests); time effectiveness for administrative procedures and through whole or partially automated assessment; by enabling the use of more types of materials such as audio/video files, dynamic graphs; in enabling new ways of creative problem solving”. The partners also agreed that the use of digital technologies for education testing and evaluation could really help both educators and learners develop digital competences. Conversely, there are concerns about the adoption of online assessment, mainly in formal and high stakes assessment. For example, there are opposite views about the use of students’ own devices and policies relating to internet access during exams. Nevertheless, different approaches tried in Norway and Denmark have demonstrated that having access to information during exams should not raise concerns about cheating and plagiarism if the evaluation is based on teaching how to find and evaluate information. Some other challenges involve security and privacy issues of using the same software. The meeting concluded that digitising examination solutions is not just a tool to grade and compare learners. In fact, it brings a great opportunity to reconsider the actual goals of education and its assessment, and to redesign the skills and competences that should actually be measured. The PLA suggested to consider “a change from knowledge-focused curriculum to a competence-focused curriculum”. That means teaching students broader competences and essential life skills that can be applied in practical situations rather than just memorising data. The experts also agreed that there should be a more continuous 'formative' assessment that “allows more timely and detailed feedback to learners and educators”. The PLA emphasized that the adoption of e-Assessment should be made studiously from small scale to large scale. Moreover, as the digital competences of teachers are a crucial element to ensure the success of digital examination, it is a fundamental issue “whether policy should focus first on building educators' and learners' competence and experience before introducing digital assessment; or whether teacher training and implementation of digital assessment can occur simultaneously”. It was concluded that educational institutions may differ in their approach to implement online platforms and that in the early stages of adoption, it will be necessary support staff to monitor the procedures. Many European countries have already made their first moves towards online assessment, usually starting with a few subjects or a specific age range and then progressively broaden its reach. However, there is still much to be done to meet a full digital assessment, and the PLA encouraged European institutions and countries to share knowledge and exchange experiences. Members considered that it could be advantageous to introduce “common European guidance or standards for testing systems” as well as to discuss more on this topic in the foreseeable future. Finally, if you'd like to learn more the key messages published on the topic of digital assessment, you can read the policy messages of the sixth PLA on digital assessment of the ET2020 Working Group on Digital Skills and Competences. At Inspera we work hard to develop more innovative and learner-centered solutions to assess and grade students’ capabilities in a fair, valid and reliable way. For that purpose, we find it key to monitor students’ skills and abilities as well as their needs, taking advantage of the latest technological innovations. We believe in the necessity to cooperate and exchange different views in a European context, so we pursue to share our ideas, outlooks and best practices of e-Assessment with European education institutions.